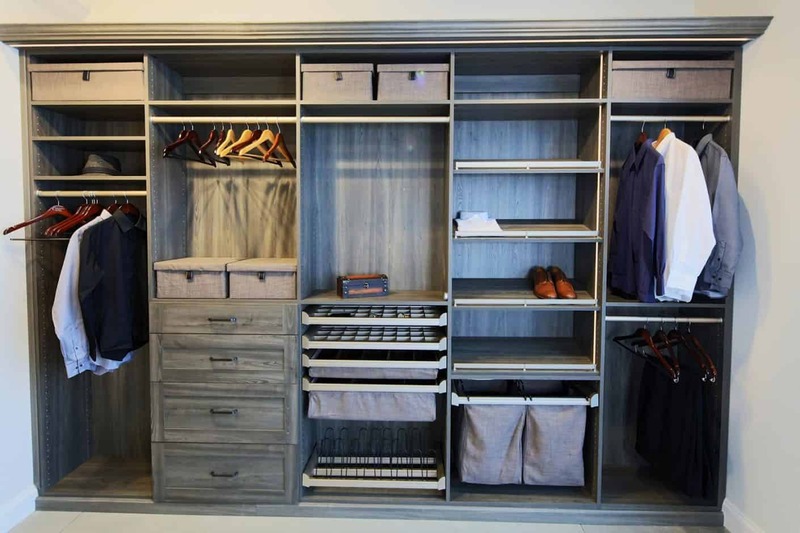 Build Your Dream Closet, Tame The Clutter, & Organize Your Life. 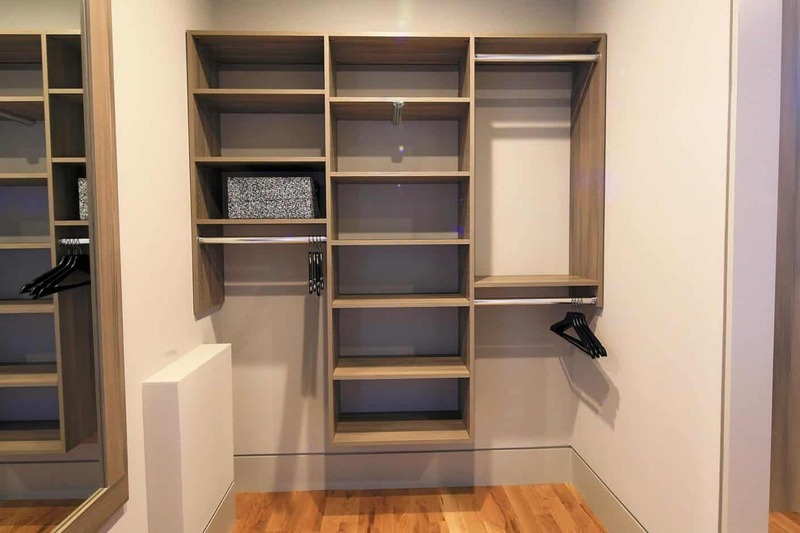 Luxurious Custom Closets & More for Less than You’d Expect. 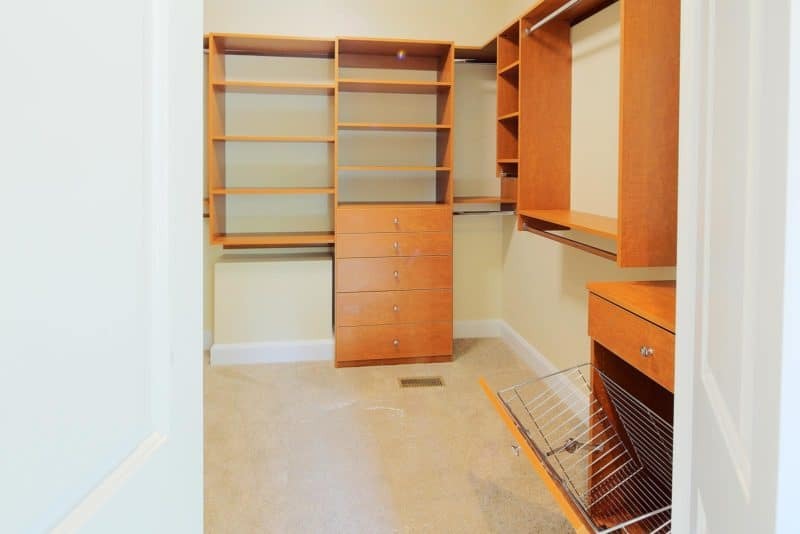 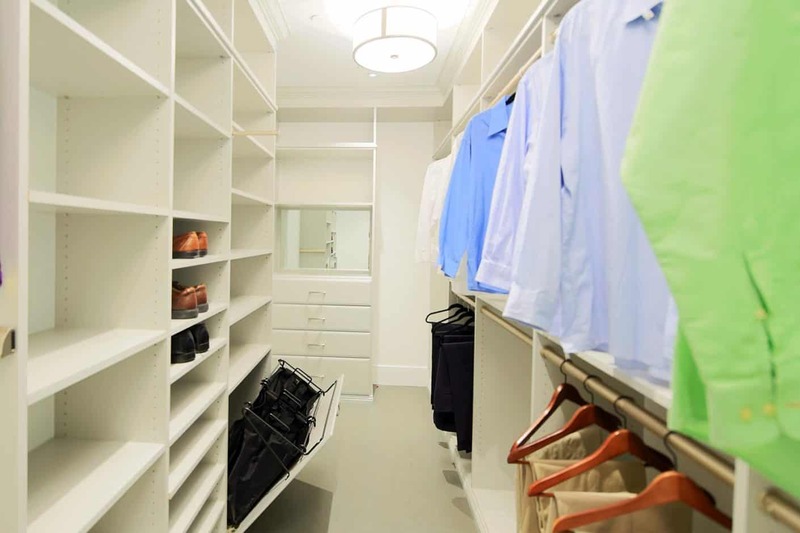 Every homeowner wants more closet space. 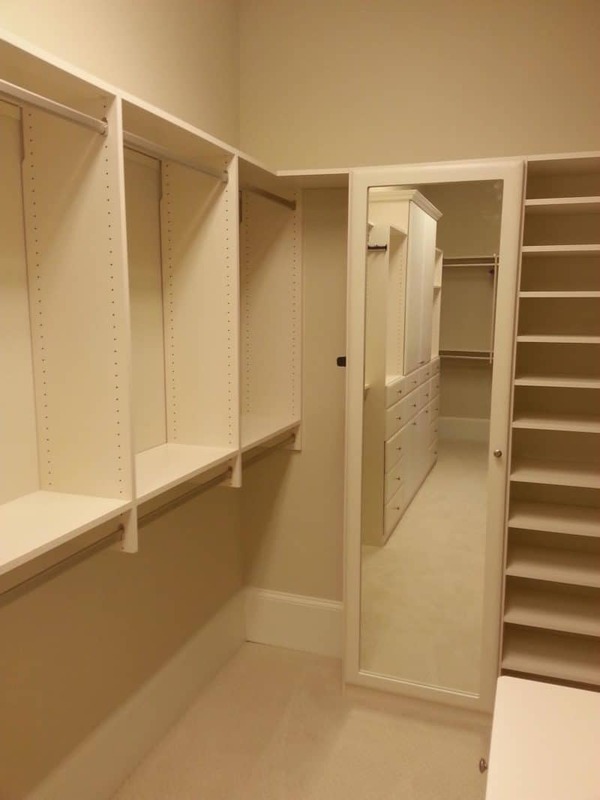 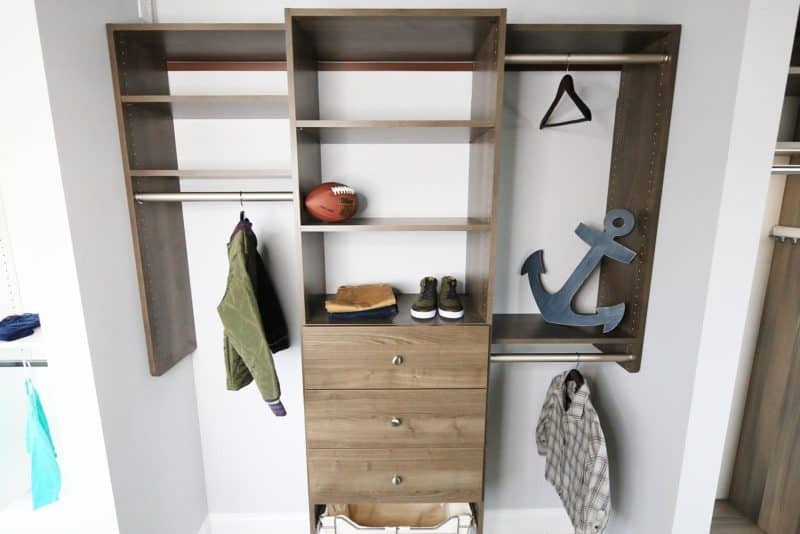 Our custom made closets let you upgrade the closets you already have or totally customize a new one. 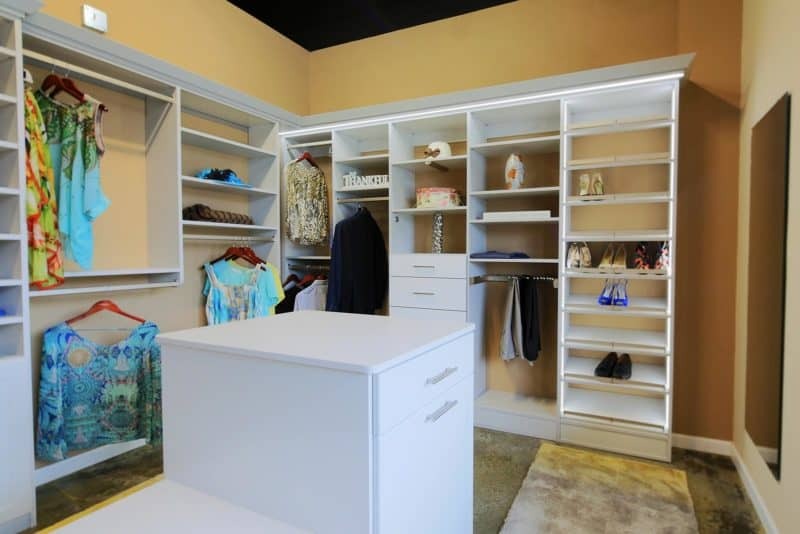 Turn an extra room into a spacious walk-in closet, or design a fabulous his-and-hers closet system that keeps everyone organized! 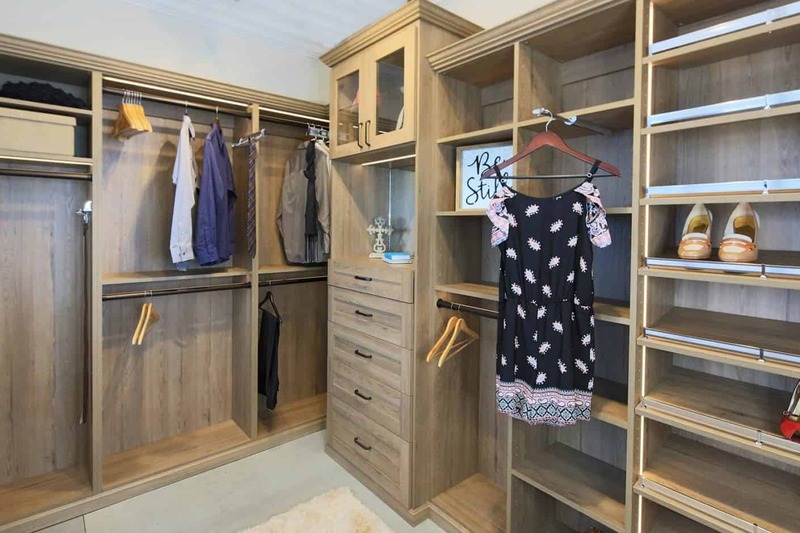 With hundreds of available components, your custom closet design can include wardrobe bars, tilt-out hampers, tie and belt racks, sliding jewelry trays or shelving for shoes, boots, purses, and other necessities. 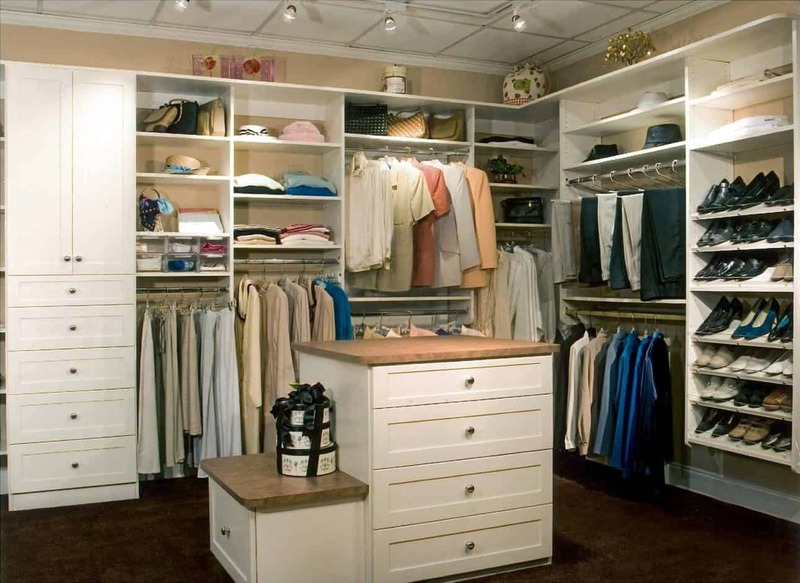 Once your closet makeover is complete, getting dressed for the day will be fun again! 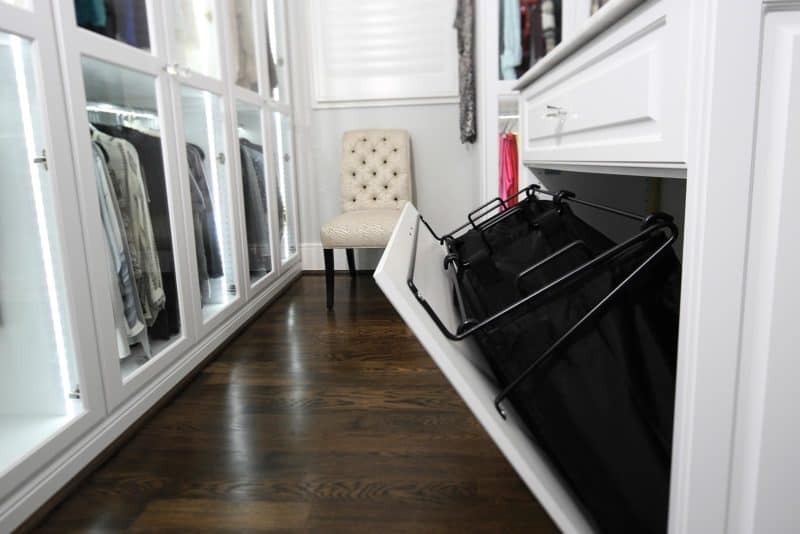 Carolina Closets’ closet accessories allow you to build the closet that’s functional and perfect, just for you. 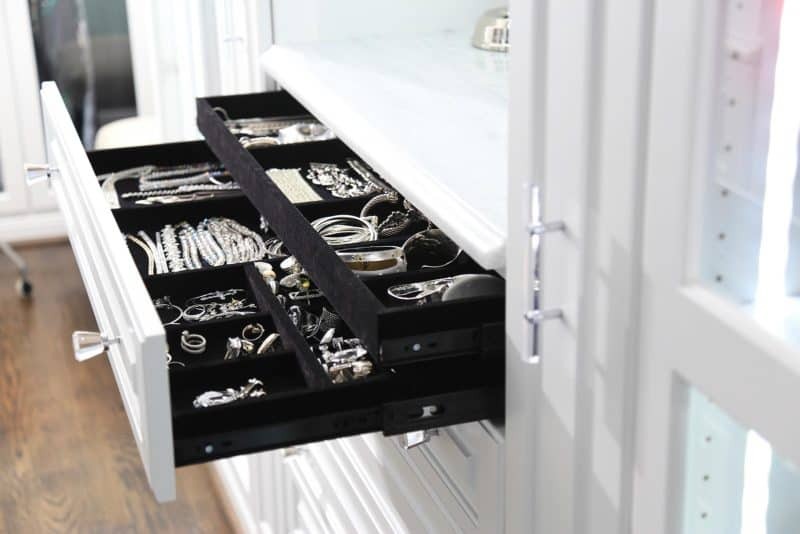  Visit our Accessories page to browse our closet accessories. 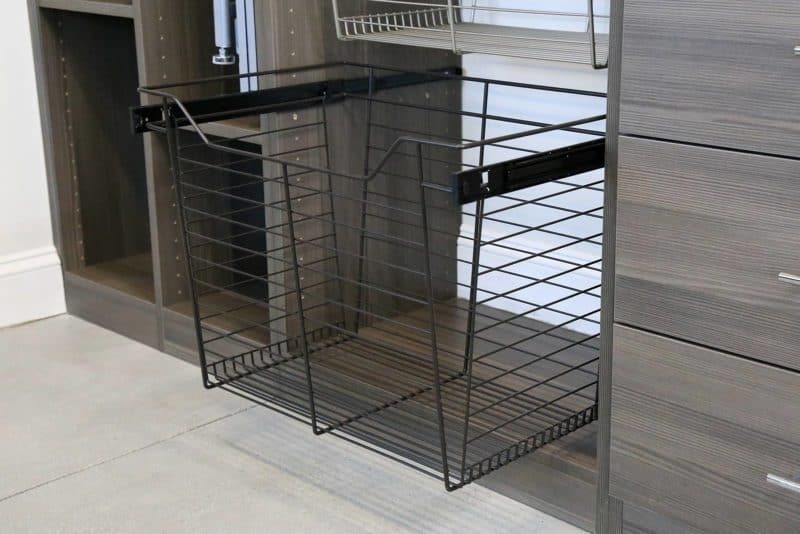 Choose between hooks, racks, jewelry trays, drawers, locks, ironing boards, mirrors, lights and more! 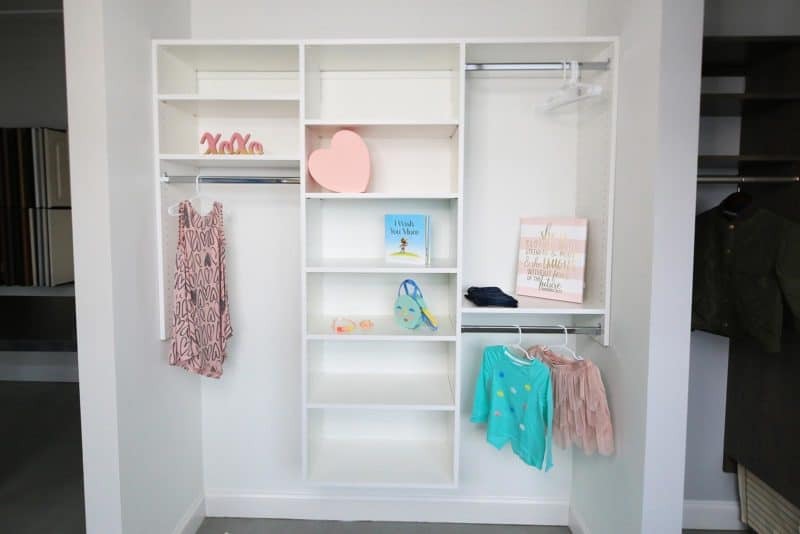 View our Colors page to view the selection. 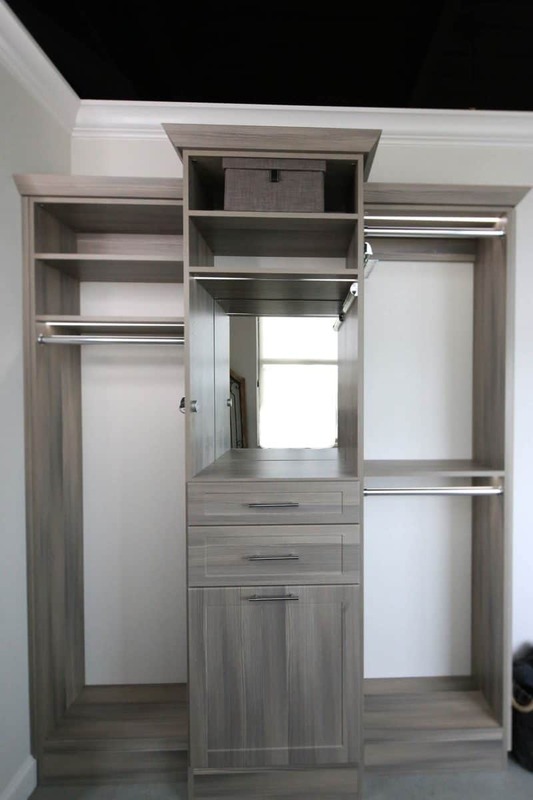 Match the existing cabinetry in your home, or go for an entirely new look in your closet! 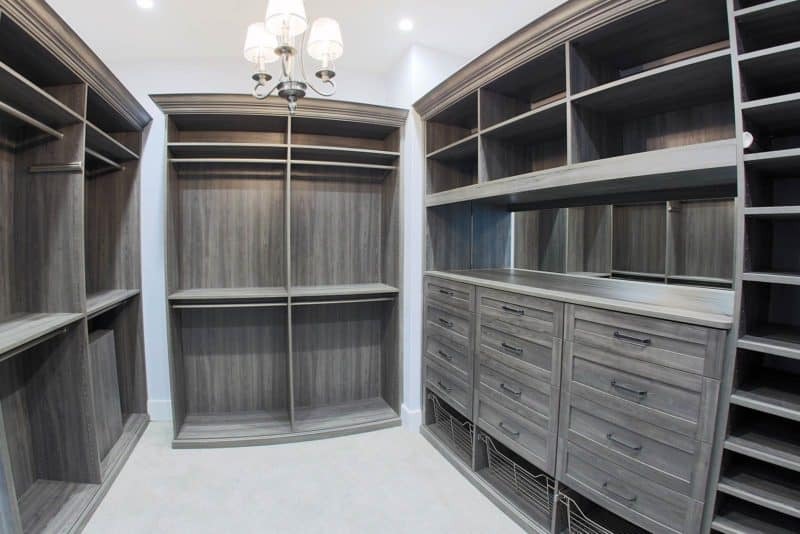 It’s the little things that really pull it all together, Carolina Closets lets you customize your closet down to the very last detail. 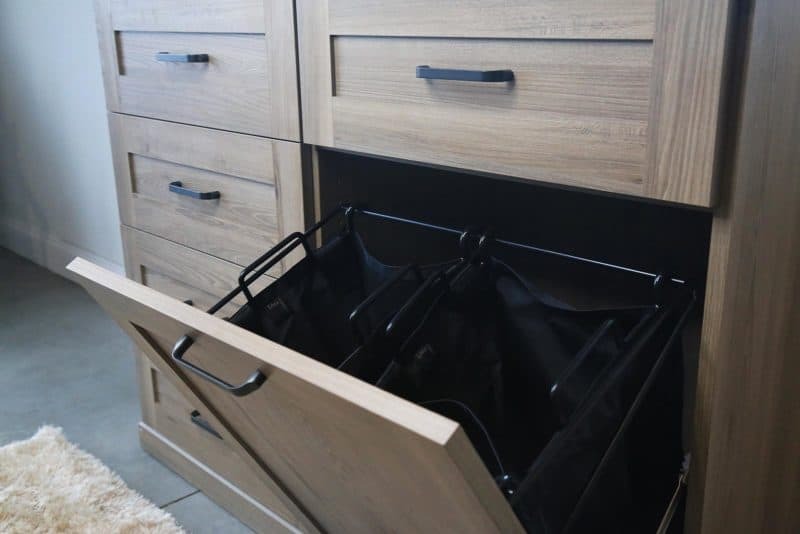 Visit our Styles and Finishes page to consider your options in door and drawer styles, knobs and hardware, and garment rods. 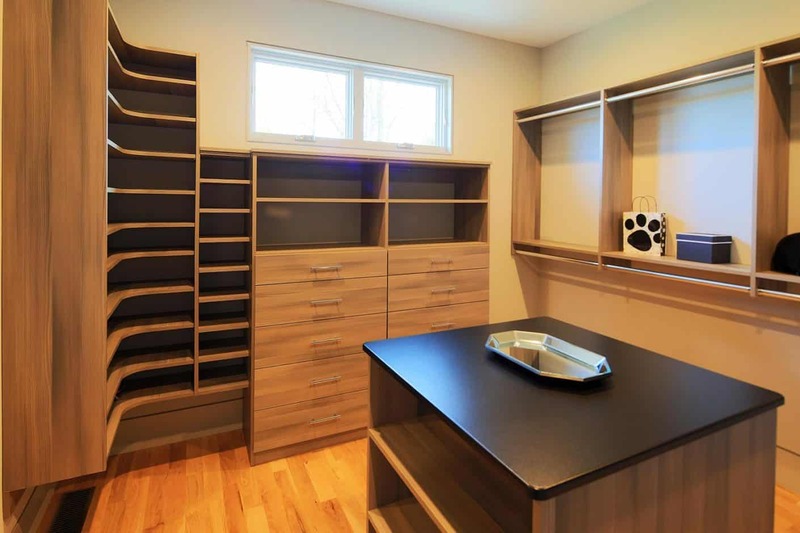 Call us to speak with one of our custom home office experts or visit one of our showrooms today!